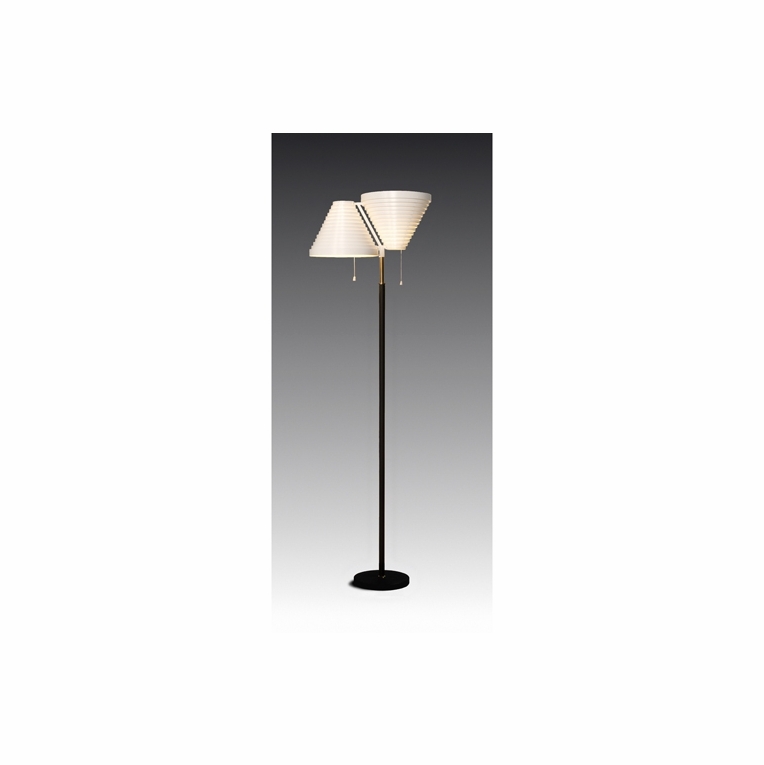 This asymmetrical floor lamp has two conical white steel shades that give this fixture an elegant, yet architectural presence. The base and stem are partially covered leather and can be ordered with your choice of brass or steel accents. Pull cord. Ships assembled.Please review our Shipping Information page before ordering. Payment: 50% will be charged at time of order, remainder will be charged at time of shipment.